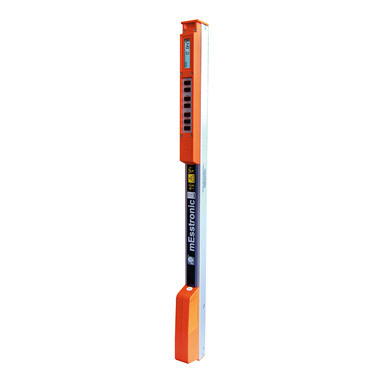 The Nedo mEsstronic with 0.1 mm resolution is an electronic telescopic measuring rod which is primarily intended for the measurement of glazing bars. It is equipped with two precisely adjusted stops, so that two measuring ranges; 0.15-2.35 m and 0.81-3.00 m are at the user's disposal. It is possible to switch from one range to another at any time with the touch of a button.